Debts you leave unpaid do not generally become your children's responsibility after your death. Although it is not uncommon for creditors to demand payment from family members after a debtor's death, your children have no legal obligation to repay your creditors. The exception to this rule occurs if you and your child shared a joint debt, such as a joint credit account, or your child co-signed with you for a loan. In each of these cases the debt belongs to both you and your child and, upon your death, your child becomes solely responsible for repaying that debt. Creditors you owe have the right to file payment claims with the probate court responsible for distributing your estate. The executor of your will must use the estate's proceeds to pay as much of your outstanding debt as as your assets will allow. Your heirs receive any funds left over after the executor pays off your creditors. If you do not have a will, a personal representative serves the same purpose as an executor and distributes the proceeds of your estate accordingly. Although your children are not generally responsible for your debts, creditor claims reduce the amount of inheritance each child receives from your estate. One factor that influences whether your debt passes on to a loved one is whether you live in a state that recognizes community property law. If you live in a community property state, such as California, you and your spouse share all of your debts and assets equally – regardless of which of you actually acquired the asset or incurred the debt. 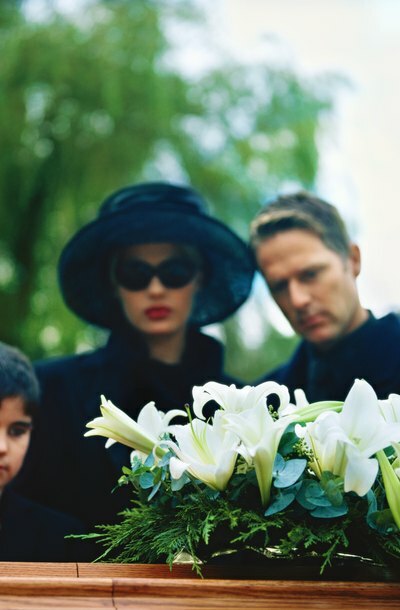 In community property states, your spouse is liable for your debts after you die. This is true even if those debts were not part of a joint account. An exception to the community property rule exists for any debts you acquired prior to your marriage. Because you did not incur these debts during your marriage, they do not fall under community property laws and your spouse is not legally responsible for their payment. Bankrate.com: At Death, Who Inherits Credit Card Debt? Fox Business: Dying With Debt – Will Your Children Inherit Your Obligations?